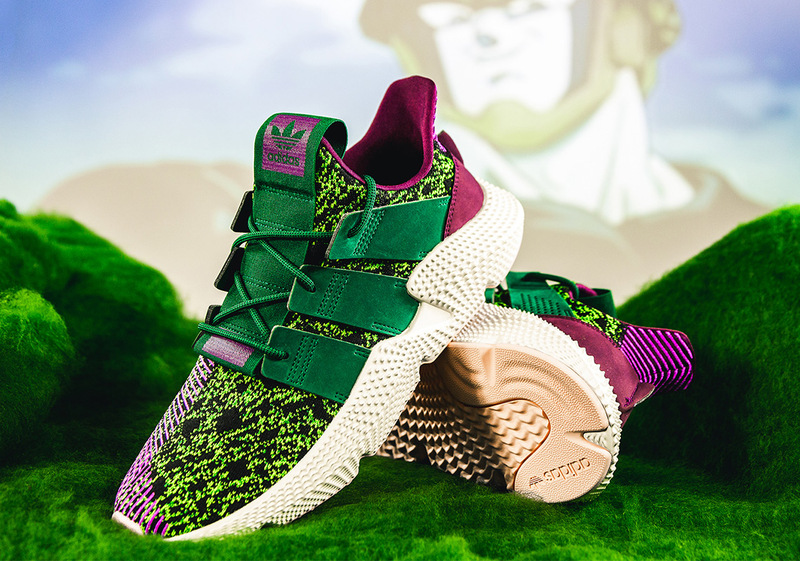 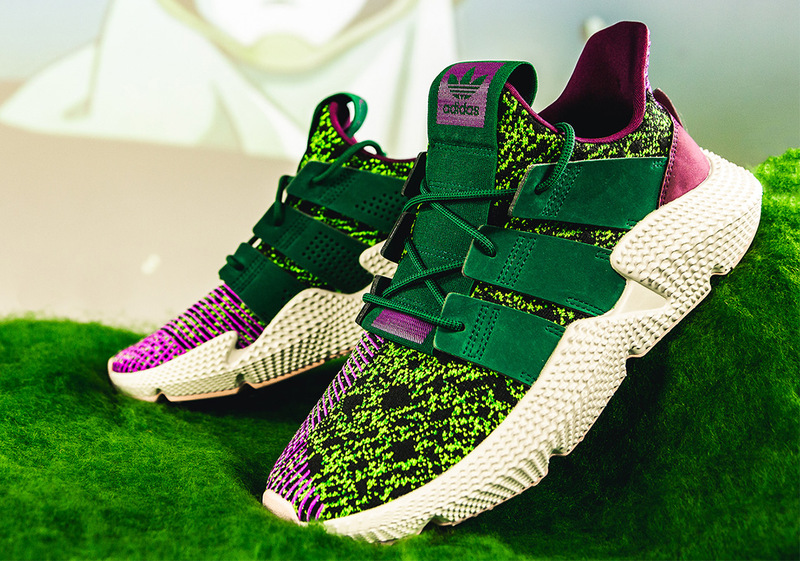 After the adidas Dragon Ball Z pack’s first battle arrived to stores via the release of Son Goku’s adidas ZX500 RM and Frieza’s adidas Yung 1, round two is set to begin soon — and the vicious android Cell’s adidas Prophere is serving as the entrant for the villain’s side. 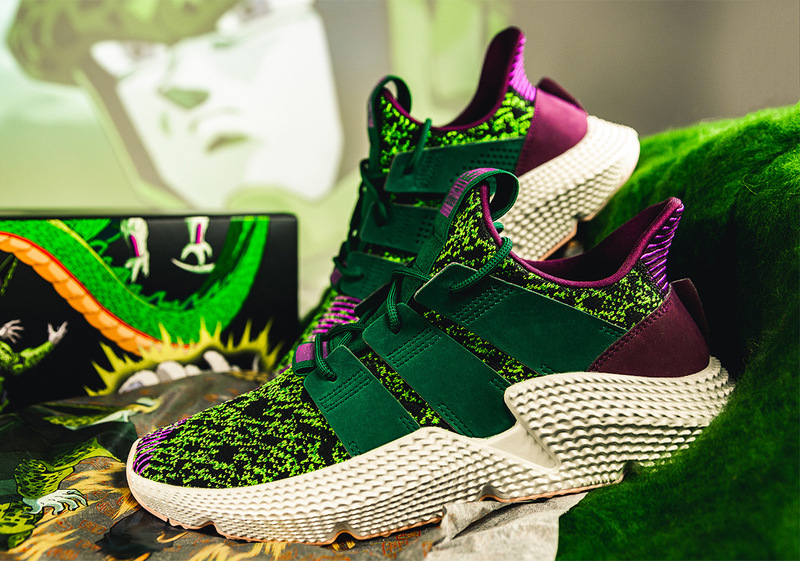 An incredibly detailed character, Cell’s original designer Akira Toriyama has gone on record stating that the menacing evildoer was extremely tedious to draw due to his spots and special construction, and that same level of detail is brought to his shoes. 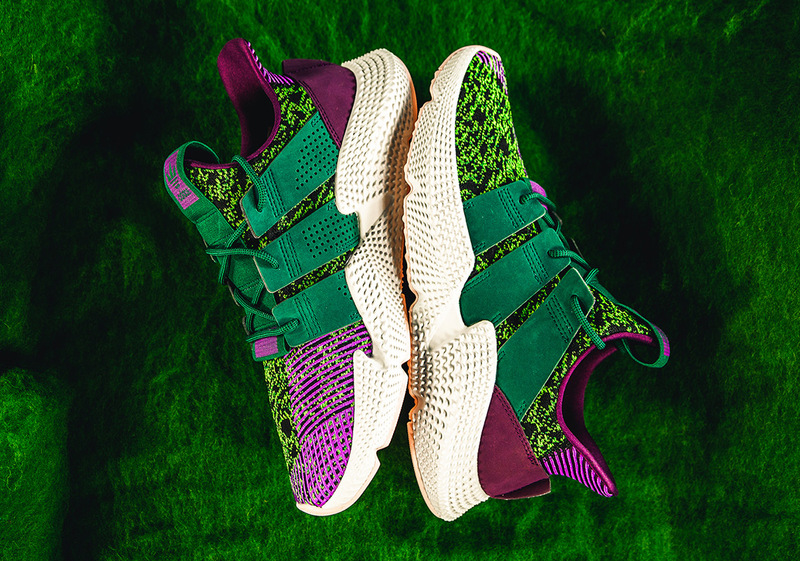 The base is constructed of a scaly black and green knit mesh — a nod to his speckled body — while contrasting detail arrives via the purple heel hits and collegiate green Three Stripes midfoot embellishment. 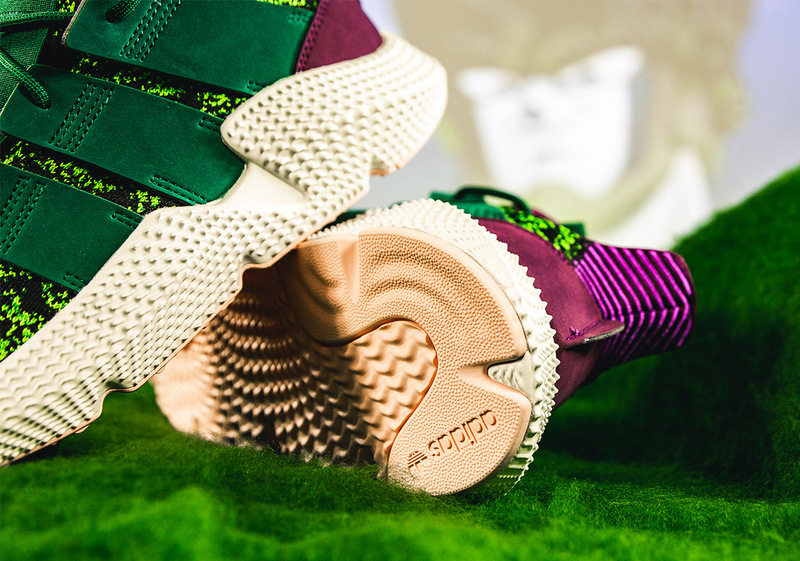 The shoe is then completed by a thick, textured white midsole and a light pink outsole. 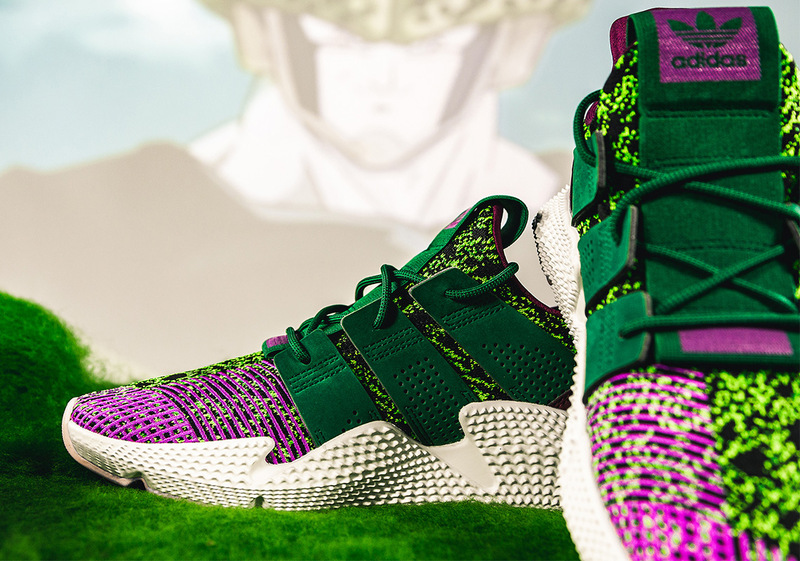 Cell’s special kicks also feature memorable packaging, creating 1/7 of the image constructed when all seven shoes from the collection are stacked together. 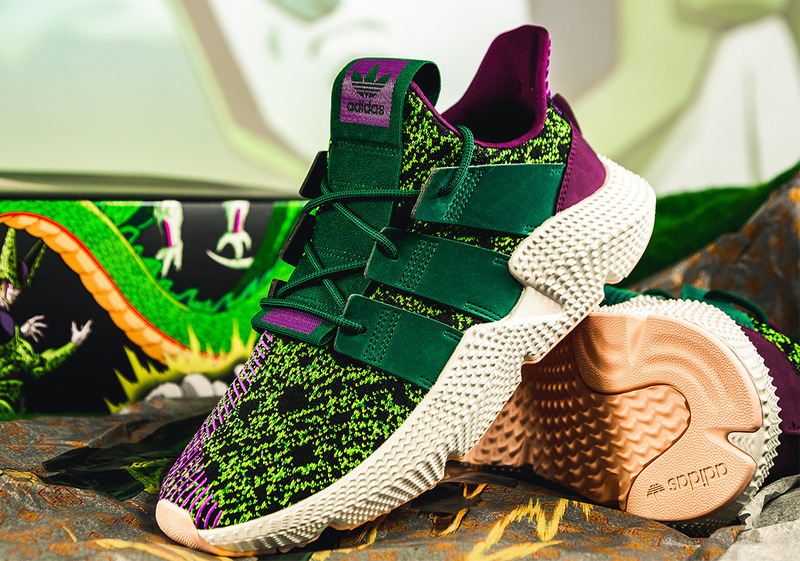 They’re set to release alongside Son Gohan’s adidas Deerupt October 26th for $150 USD, so enjoy a detailed look below while you wait, and check our Sneaker Release Dates page as well for more autumn Trefoil Brand release info.